Note: This is the eighth chapter of 'Memory Intrigues', a collaborative novel being etched out by a group of ten bloggers. "What had happened to them? Why had all the love drained?” he sighs. But his lack of desire and interest in his wife is the least of all his worries. The sound of crickets brings back all the nagging memories which aren't letting him sleep, even after downing four beers. It has been two days since Jen had called. Dark tense clouds hover above his mind, every minute of every passing hour. "No! She is fine!” Shekhar taps the end of the pencil on his forehead reassuring himself to stay positive, but the feeling of unease has lately become very much a part of him. "Damn! I hope that she is fine. Oh, please call Jen! What have you gotten yourself involved with?" He is still clueless about the minister's scandal that Jen was referring to. He has racked his brains but is unable to single out any names, until he can get hold of more clues. And Jen's erratic calls have been of no help, neither in tracing where she is nor in finding anything about the 'sensational' story that she has gotten hold of. "If an influential political party is involved here, Jen could be in serious trouble!!" Shekhar starts to freak out again; gradually as his breathing evens out, his hand unconsciously starts scribbling on the notepad again. Poetry has always calmed Shekhar, secretly given him even more satisfaction than seeing his work getting published and recognized. It had been long since he had strung verses baring his soul. The monotonous circle of life had caught up with him and his ever-smiling persona had been eclipsed by Tara's increasing grumpiness. Suddenly, weighed down by the colossal thought of 'what could have been' between Jen and him, drowsiness takes over. Shekhar drops his head on his writing desk and gives a drunken snore. "What in the world!!! Have you been up all night and messing up my house?" Shekhar gets up with a jolt as Tara's shrill voice pierces his ears. "Our house! ", Shekhar corrects nonchalantly and grabs his throbbing head. "Please do calm down Tara, you'll bring the house down with that voice! Please, for Roohi’s sake!" Shekhar doesn’t notice that Roohi has tip-toed into their room and has already been dragged into the couple's fight. Tara menacingly glances at the strewn sheets of paper on her husband's desk. The written words, which clearly are not meant for her, along with the empty bottles reveal last night's truth, making her quiver with anger. "Quite a concerned father you have become overnight? Roohi, can you ask your father where this love was yesterday, when we needed him the most? When you deserved a hug after your bad grades and me some affection after my pathetic day at work?" Without a word, Roohi runs out of their room, banging the door behind her, leaving both her parents shocked. The agitated steps of Roohi running away from them can be heard above the sniffling crocodile tears being shed by Tara. "Can we behave in a civil manner Tara? Please get me an aspirin while I go talk to Roohi", Shekhar musters an apologetic half smile as he clasps Tara's hand. What a vivid description! Well-written Aditi. This has your touch all over it. I have not read the rest of the story but this is a great write! Will read the rest soon. Thank you Shailaja! I think this is a plus as well as a challenge when working on a collaborative project like this- not to loose your style but at the same time all the different chapters should have a certain synergy to make a novel out of it! Too woot! To the next part! Great plot outline! 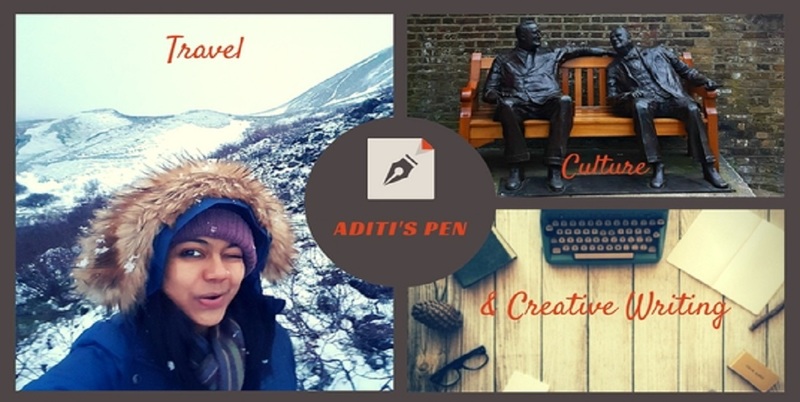 You're so good at this, Aditi! 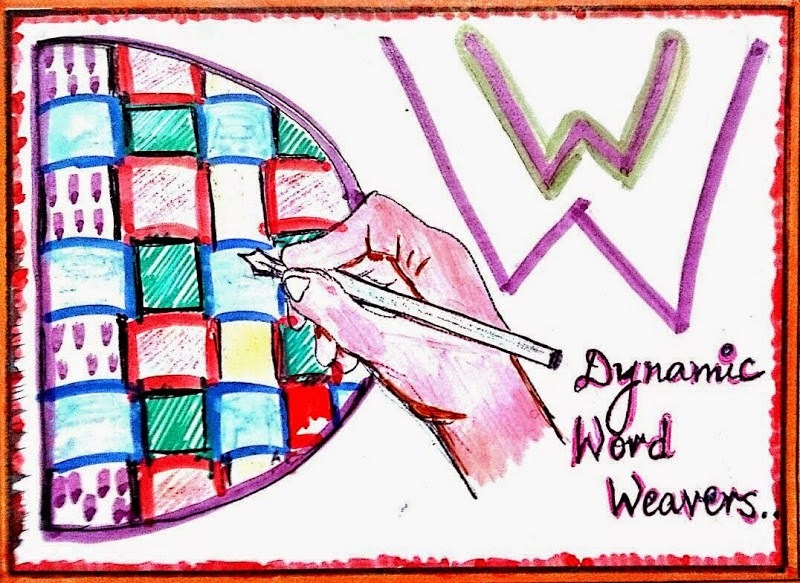 Good luck to the Dynamic Word Weavers! This is great you know...Come up with the next part soon..And oh yes All the best! Thanks Naba! Chap 9 link is at the bottom of this post, being written by another blogger of team #DynamicWordWeavers. Do read! Hey Aditi, I too wrote part 8 for my team's story :) Liked your chapter a lot, best of luck. Liked your post better than others. Nicely written, witty words, awesome poetry. Being one of the contestants, you are a tough competition. Radhika, that really is a compliment! Thanks a lot! Thanks for the feedback Vishnu. Will look into it! Stagnancy in the story flow seems to be chipping in with some form of repetition albeit the literature angle continues to maintain its brilliance. The suspense over Jennifer-Shekar relationship avoidably is slipping into a dragging slot. Pace of the story line is definitely on a slow down mode. Something needs to be done to tone up and bring in fresh angles different to the one that is offered. Sridhar hope you like the next part! Thank you Nitya! The pace will surely catch up in the second part! We have something enthralling for you readers!